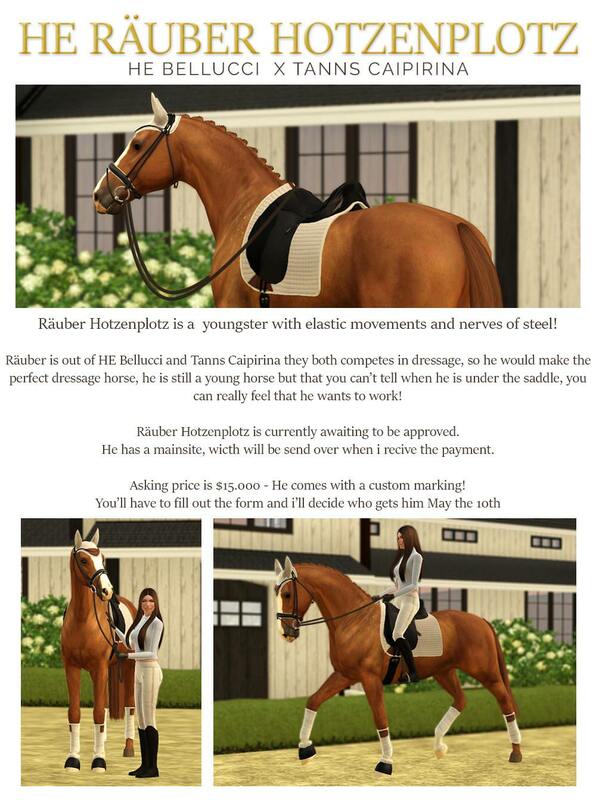 Don't change the coat color, the horses bodyshape, gender, etc. You are allowed to change shine, mane and tail if you want. If you don't want the horse anymore, please contact me first. I wish that the new owner is active with the horse! Tell me you'r favourite breed! So i know that you have read the rules. I have the right to get a free offspring from the sold horse, whenever I want. Don't put the horse marking up for download! I make the right to choose between buyers. You can send the application in this post, as a DM on slack or a PM here on the forum!